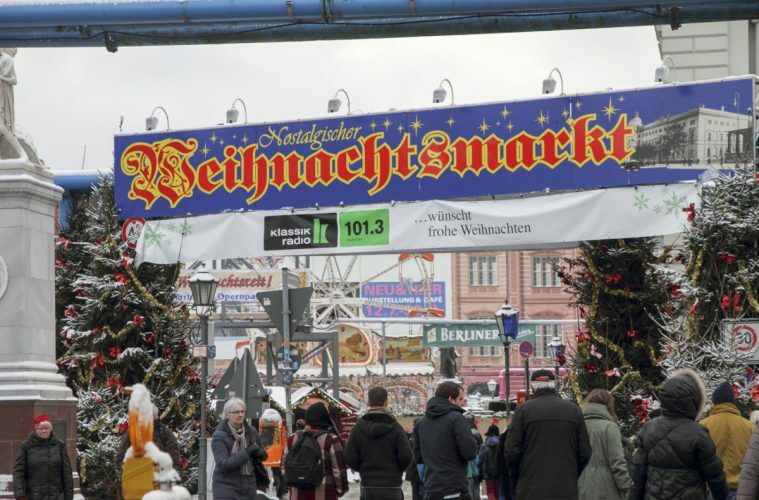 The Berlin Christmas market where 12 people were killed on Monday by a suspected Islamist extremist who drove a truck into a crowd has reopened. Police have installed concrete barriers to prevent a repeat attack. Meanwhile police have raided homes in the city of Dortmund, but prosecutors denied reports of arrests linked with the Tunisian suspect in the case. Anis Amri’s residence permit was found in the lorry at the Breitscheidplatz, which killed 12 and injured 49 more.